The town is located in the province of Potenza, on the slopes of Monte Impiso in the splendid setting of the Dolomite Lucane. 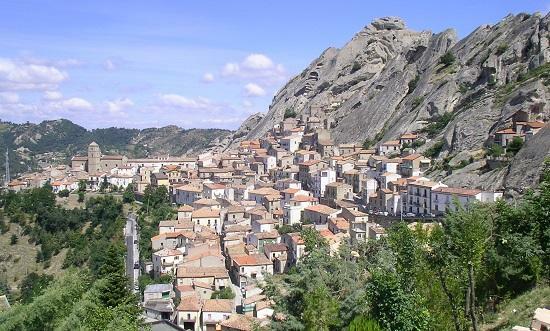 Along with the towns of Acerenza, Castelmezzano, Guardia Perticara and Venosa is considered one of Italy's most beautiful hamlet. Its name derives from the Latin Pertusus with reference to its territory which is rich in pits. 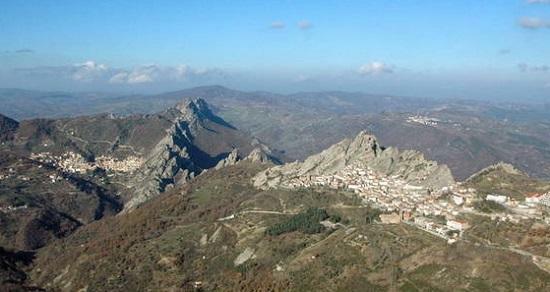 During the Medieval period it was known as Pietraperciata. The village is built entirely on the bare rock, almost embedded in it, taking advantage of every little nook and cranny. It runs pretty much along the only main road to the foot of the ancient castle dating back to the Roman occupation. 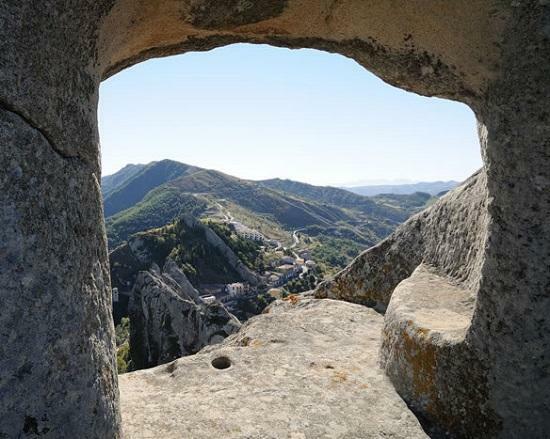 This fortification is dominated by a spectacular natural arch that was once the place of look-out and place a sentinel. Pietrapertosa shows itself to the eye of the visitor as ancient village that has somehow managed to preserve its medieval appearance especially in the oldest part situated at the foot of the Castle which retains, even today, the ancient saracen name of "Arabat" characterized by narrow streets and blind alleys. Connotative elements not only the place but also the entire area of the park are the works of channeling rainwater on the bedrock, steps are also carved from the rock, which, despite being consumed by time and by tourists (they bring it to the top of the arch natural), however, remain a gem in the whole environment. More reliable are records from the tenth century, when the fortified village was occupied by a band of Saracens led by a certain Luke, a Greek convert to Islam who made numerous raids in the neighboring towns. 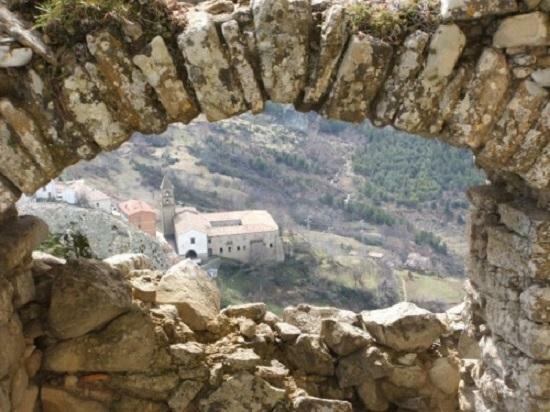 The fortress, which is accessed by a staircase located behind the last houses of the village, rests directly on the rock and dominates over the area of Pietrapertosa. 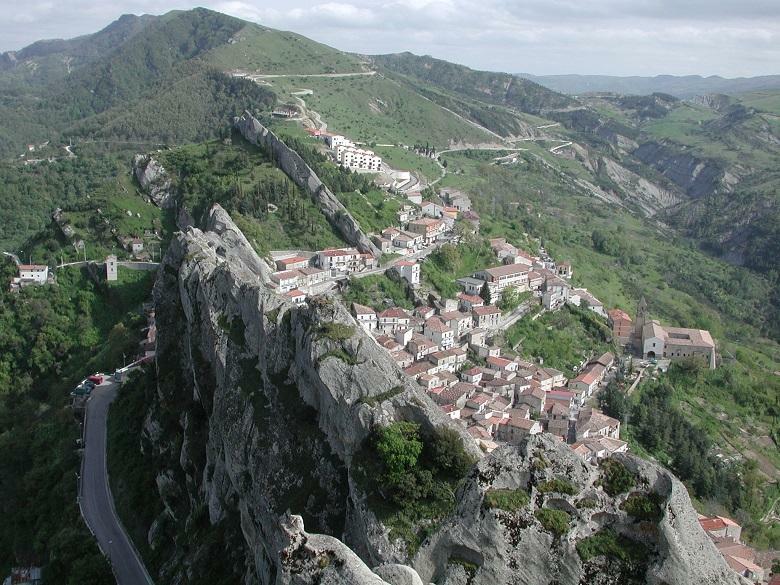 Attraction: One of Europe's fastest zip line, to and from Castelmezzano and Pietraportosa - High - fast and thrilling. 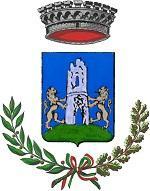 December; Feast della “Cuccia” on 13th December.